Jacques Lacan continues to be subject to the most extravagant interpretations. Angelic to some, he is demonic to others. 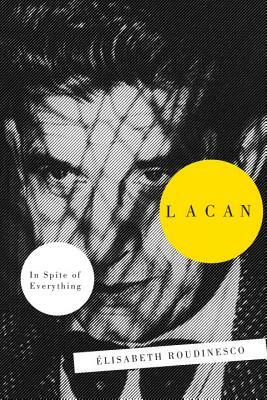 To recall Lacan’s career, now that the heroic age of psychoanalysis is over, is to remember an intellectual and literary adventure that occupies a founding place in our modernity. Lacan went against the current of many of the hopes aroused by 1968, but embraced their paradoxes, and his language games and wordplay resonate today as so many injunctions to replace rampant individualism with a heightened social consciousness. Widely recognized as the leading authority on Lacan, Élisabeth Roudinesco revisits his life and work: what it was – and what it remains. Élisabeth Roudinesco teaches at the École des Hautes Études en Sciences Sociales in Paris. She is the author of many books, including Jacques Lacan & Co. and Madness and Revolution.